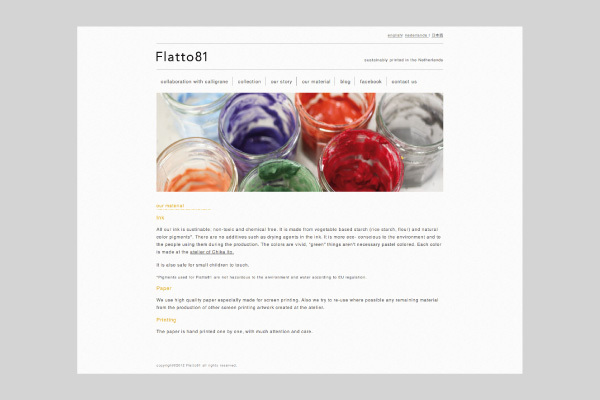 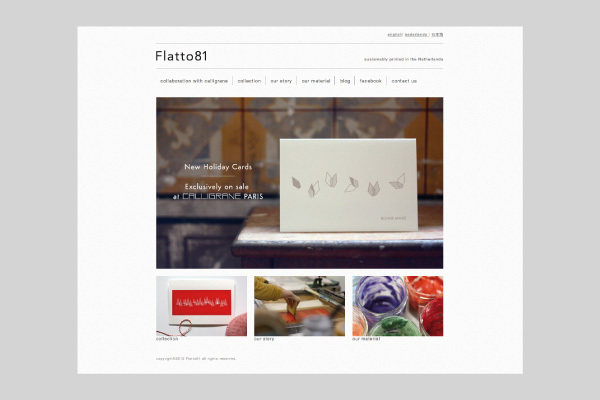 Flatto81 is a social design project with an aim to create sustainable greeting cards focusing on the material, design process and environment. 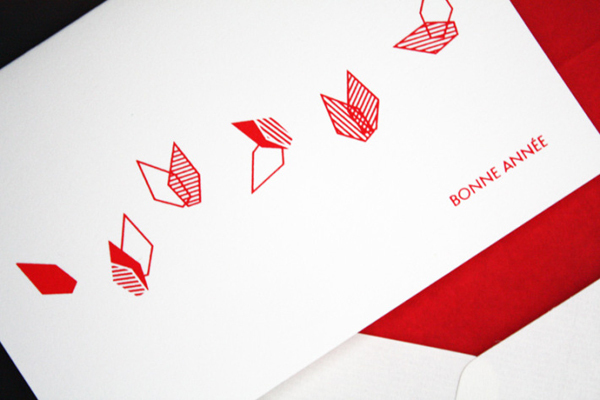 The project is a collaboration between artist Chika Ito, graphic designer Soonhwa Kang and designer Emi Tsutsushio. 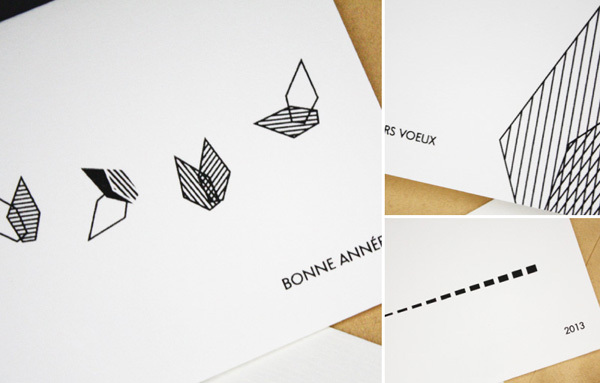 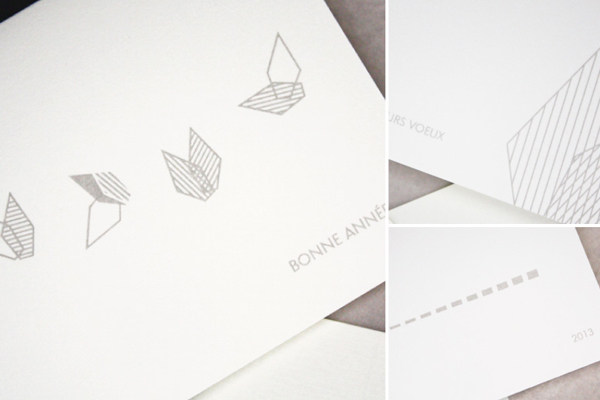 In 2012, we created the 3 kinds of greeting cards for an exquisite paper speciality shop, Calligrane in Paris. 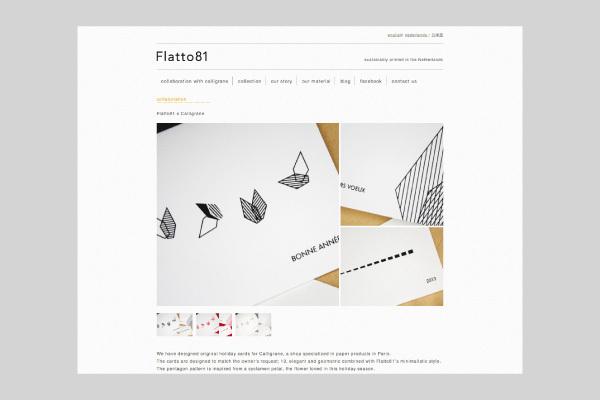 The cards are designed with the following key words: the number 13, elegant and geometric shapes combined with Flatto81’s minimalistic style.